Joshua Borger is one of Calgary’s most established Portfolio Managers and holds the Fellow of the Canadian Securities Institute (FSCI®) and the Chartered Investment Manager (CIM®) designations. He has over 33 years of financial and investment experience, primarily in Alberta. As head of the Borger Wealth Advisory Group, Joshua draws upon this extensive financial experience and industry knowledge to help people achieve their financial goals. 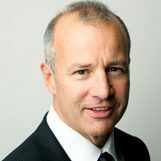 Prior to taking on his current role, Joshua held several leadership positions within TD Wealth as Vice President and Managing Director of Calgary’s Private Client Services Team, National Manager of TD Wealth Private Banking at Head Office in Toronto, and Branch Manager of a highly successful commercial banking centre in Calgary. This deep connection and familiarity with TD Bank Group as a whole enables Joshua to astutely guide clients through the many resources available to them within the bank, ensuring that various facets of a client’s wealth are being considered and taken care of. A native Calgarian and graduate of the University of Calgary with a Bachelor of Commerce degree, Joshua has remained an active member of the city’s business community. He founded the South Calgary Business Association and served as a Director on the Board of the North East Calgary Business Association. Joshua also participates in several fundraising initiatives and organizations in Calgary, including the Enbridge Ride to Conquer Cancer, Wood’s Homes Foundation, Children’s Miracle Network Telethon, and Juvenile Diabetes Research Foundation. When Joshua isn’t at the office, he enjoys spending his free time with family and getting out of the city to hike, ski and go mountain biking. Joshua Borger is a member of Borger Wealth Advisory Group.